August 12, 2013 - Governor Matt Mead, the Wyoming Department of Workforce Services, and its partners, recently honored outstanding Wyoming employers and individuals at the first annual Wyoming Safety and Workforce Summit. 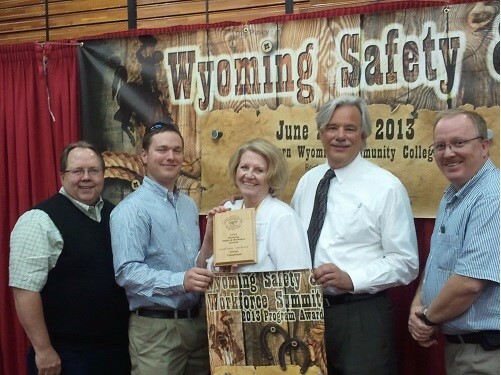 More than 500 individuals attended the Summit at Western Wyoming Community College in Rock Springs. The Governor’s Safety Awards are presented to Wyoming employers demonstrating a strong safety culture and excellence in safety and health programs. One large employer and a small employer are eligible in each of the following categories (General Industry, Construction, Oil and Gas, Mining). Union Wireless was the recipient of the 2013 General Industry/Large Employer Award.